Few golfing events create an international fervor like the Ryder Cup. The biennial showdown pits America’s best talent against the top shooters from Europe, and with so much pride on the line, the action is always intense. Whether the tourney is held stateside, or at a course across the Atlantic, booking charter flights to the Ryder Cup with Stratos Jets is the easiest way to get from the runway to the fairway. If you were to ask many of the game's top professionals, the unofficial fifth major would be the Ryder Cup. With a tradition that dates back to 1927, there is a long-standing rivalry, and camaraderie, amongst the players. If you need further proof that this event matters, consider this: participants receive no prize money whatsoever. Despite the high-profile nature of this prestigious tournament, and the vast sums of money it garners from advertising and sponsorship revenues, those fortunate enough to be selected to the team play solely for the thrill of competition. And since the current format was adopted in 1979, the score has been close. Heading into the 2016 Ryder Cup at the Hazeltine National Golf Clug in Chaska, Minn., the Euros hold a slim 10-8 advantage (with one draw) over their American counterparts. Since its 1927 beginning, Team USA has been leading the series with 25 wins over Europe and Great Britain. As the tournaments rotates sides of the pond where the host course is located, Ryder Cups have been held on the lush and impressive courses such as Gleneagles in Scotland, Valhalla Golf Club in Kentucky, and Wales’ Celtic Manor Resort. This year's event will be hosted in France at the Albatros Course of Le Golf National in Saint-Quentin-en-Yvelines, a suburb southwest of Paris. 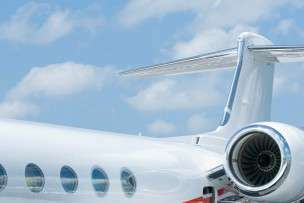 Stratos Jets has more than a decade of experience in arranging international charter flights and our charter associates will help you select the long-range heavy jets with the inflight amenities to transport you and your travel party in complete comfort. Are you a diehard Ryder Cup fan? Whether this prestigious tournament happens overseas, or at home in the US, Stratos Jets can arrange luxury charter flights to the Ryder Cup. Our agents are available 24/7—(888) 593-9066 (toll free) or request a quote online.